We provide cancer patients with the tools to forward their life beyond cancer. By building strength and a sense of empowerment, you gain hope, peace, and a new meaning and sense of value for life in your fight against cancer. Help us educate patients about the importance of exercise and its role in cancer treatment. 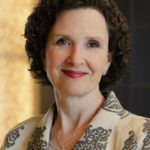 Benefits of increased treatment effectiveness, improved immune system, mitigation of chemotherapy side effects, and survival up to 50% are significant in the treatment of cancer. Become a leader in oncology care by offering a comprehensive, patient-centered treatment plan including exercise prescription. Helping patients achieve the desired outcomes of your prescribed treatment gives them ownership in their battle against cancer. Are you passionate about cancer or exercise? Volunteer your time, care, and passion to support patients through their cancer journey and help them reach their health and fitness goals. There are many ways you can donate to Cancer Foundation for Life®. 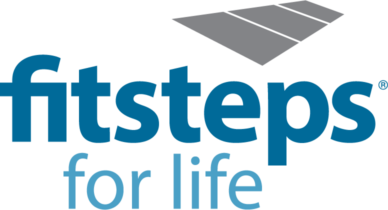 We offer the FitSteps for Life® program as the pioneer and leader in cancer exercise treatment, prescribing individualized and structured exercise treatment plans specifically for cancer patients. It is the only known community-based program that is provided free for the lifetime of the patient. 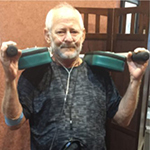 Scientific studies continue to demonstrate the unprecedented benefits of exercise in cancer care. 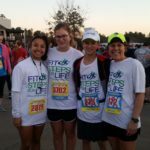 FitSteps for Life® provides these benefits to cancer patients while restoring hope, purpose, and meaning, moving them forward in their cancer journey. I am a 4x cancer survivor. I can contribute my survival to consistent exercising at FitSteps. We are always challenged and motivated with new exercises. Thanks for providing this service to us. My oncologist stressed 150 minutes minimum a week of walking, even if you could only do 10 minutes at a time. Keep going! It made me feel better all through chemo! 3 1/2 yrs later, I still walk and feel great. Thanks FitSteps!! You are fabulous! Many thanks! When I first started attending FitSteps (about a year and a half ago) I could barely walk, even with a cane, could not stand up straight, and had no strength. With FitSteps and the encouragement of my instructors, I am now able to function like a normal person. Thank goodness for your program! I feel fortunate to be able to have the opportunity to exercise and interact with others who are fighting this ugly disease too. The positive encouragement and proper exercise training I receive is priceless!